Hi everyone, I'm out running around again today. I just wanted to show you some things I put together for my local stamp store to display for the holidays. I'm back with some other ideas for using the large Memory Box dies I used on the cards a couple of posts ago. This is the label type die, folded in half. Stamp is Penny Black. The spiral shaped die is also Memory Box. 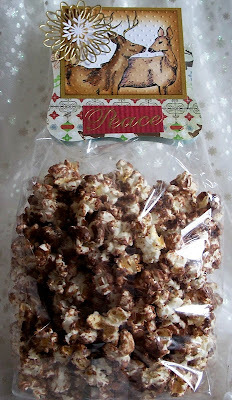 Snowflake is a punch by Martha Stewart. 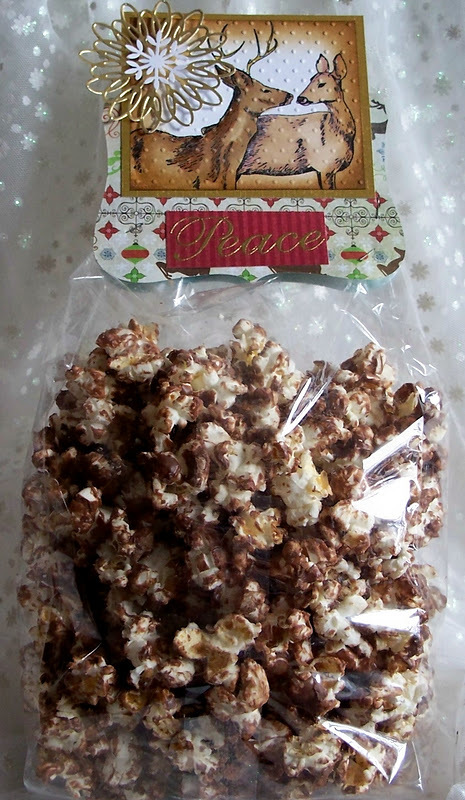 Goodies in the bag, Chocolate covered popcorn. This is also the label type die cut from Memory Box folded in half. Paper is Echo Park. 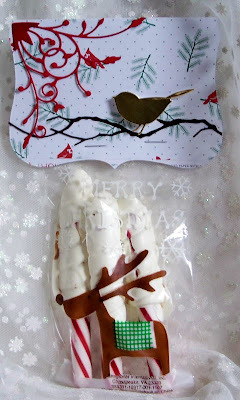 I used distress in to sponge the edges, Ranger Festive Berries, limited edition for Christmas. Snowman is made using two heart punches and a small circle punch, ran through the paisley cuttlebug embossing folder. This is the scalloped edged die folded in half. The stamp is by . 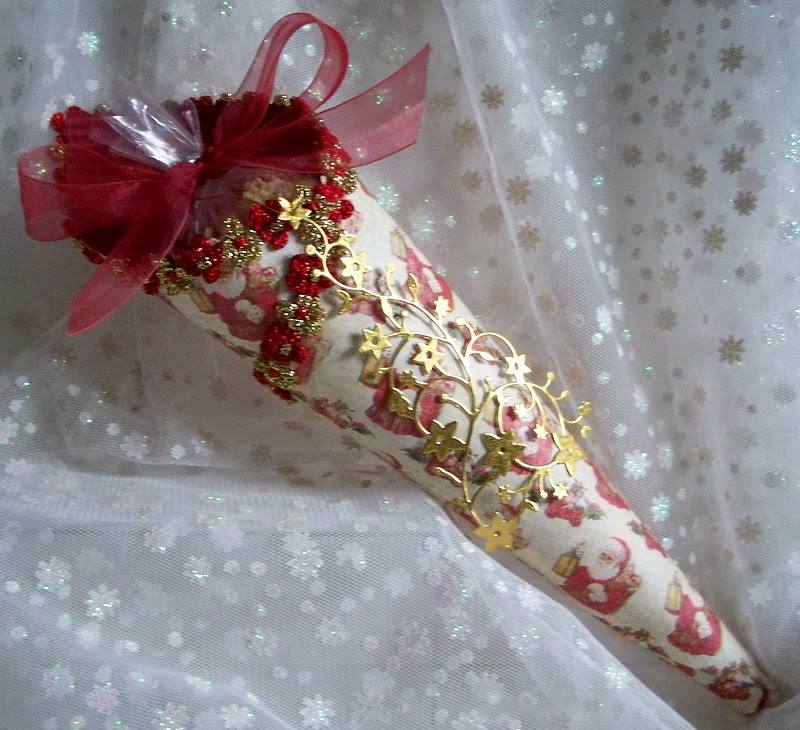 The flower embellishment is from BSS, by the yard. Sentiment is from Inkadinkado. Goodies in the bag, White Trash, google it, there are many variations. This is the label type die again, from Memory Box, folded in half. The paper is from BSS. The bird, branch, and the red corner piece are all dies from Memory Box. Goodies in the bag, peppermint sticks with white chocolate toppers. This is the scalloped edged die cut by Memory Box, folded in half. The stamp and sentiment are from Darcies. Paper is SEI. Die cut frame is Spellbinders. Silver Ribbon. 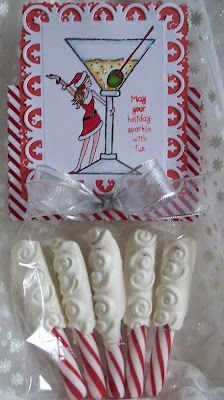 Goodies in bag, Peppermint sticks with white chocolate toppers. This is the labels type die from Memory Box, folded in half lengthwise. The deer is a Sizzix die cut. The spiral die is Memory Box with a snowflake punched from a Paper Shapers punch. Gold Ribbon around the deer's neck. 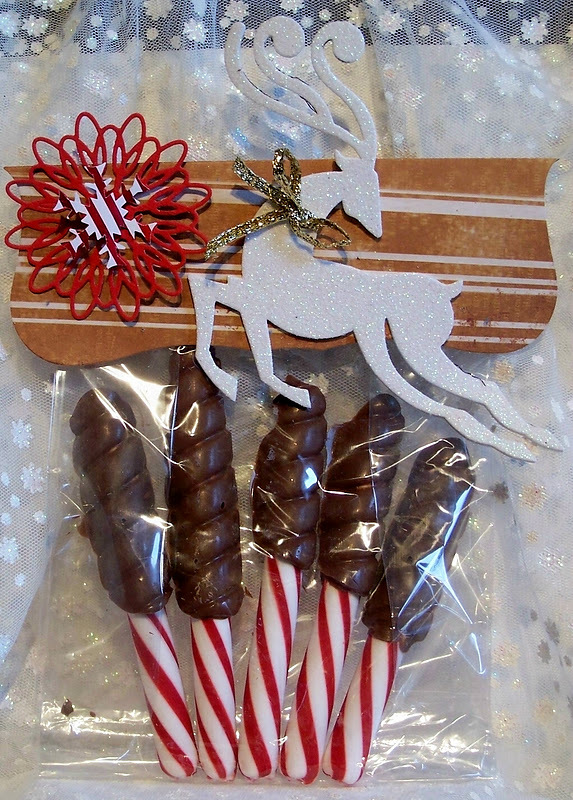 Goodies in bag, peppermint sticks with dark chocolate toppers. 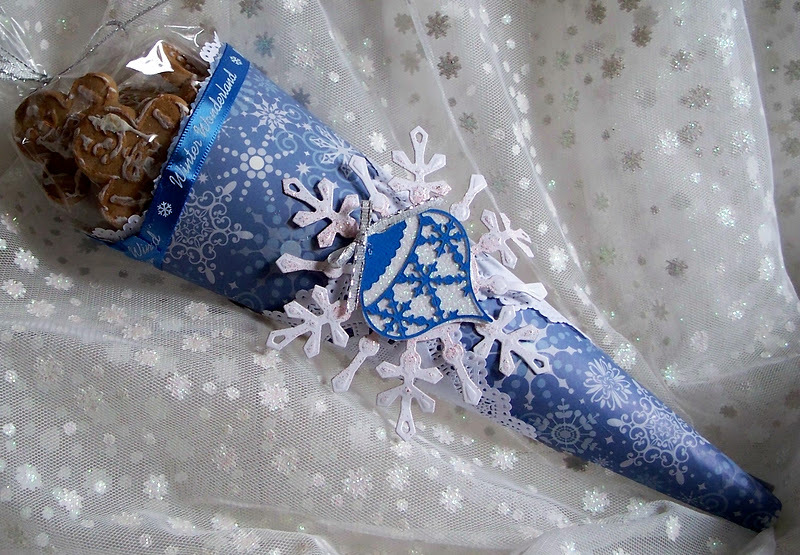 The last two items are cones made from a nine inch square of paper folded into a cone. I used decorative scissors to trim the top and right side of the square prior to folding. Hold the piece of paper like a diamond shape in front of you and bring the two side points together and keep folding until a cone is formed. I used a low heat glue gun for best and fastest seal. Paper is from K and Co. Ornament die is Memory Box, with white glittered paper behind it. 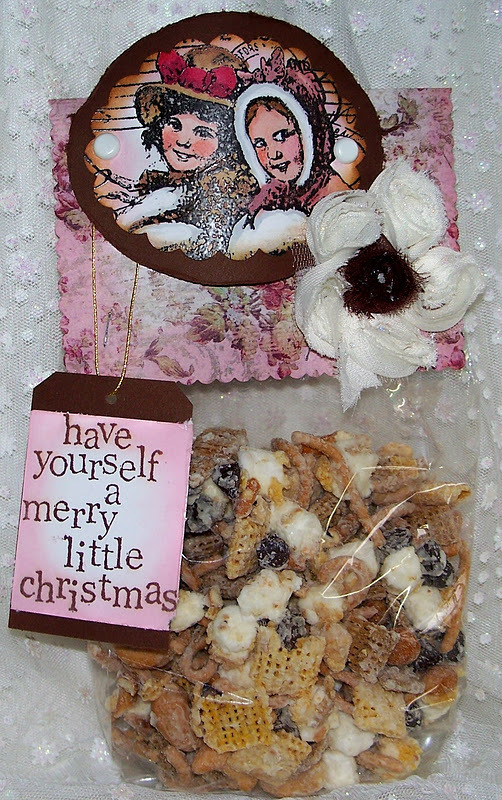 Snowflake is Spellbinders with Stampendous Shabby Pink Embossing enamel. Goodies in cone, Gingerbread boy cookies. Goodies in cone, white trash. and you got at least one new idea for the holidays. wow Sue, such a yummmyyyyy ideas. 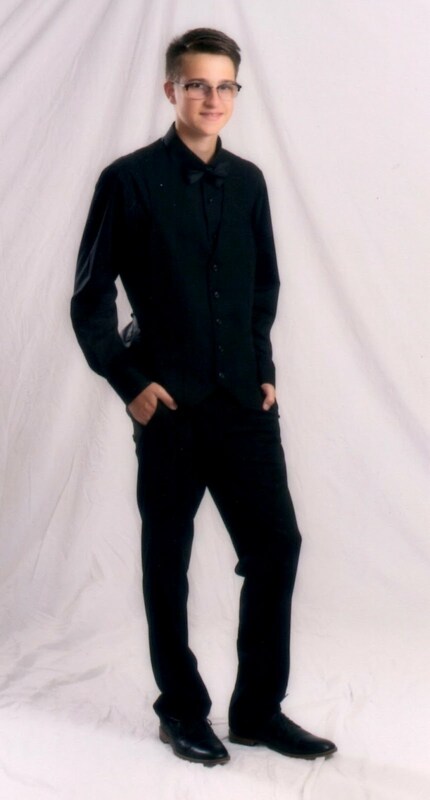 Sue, These are all darling. I've seen a couple of "must haves" in looking over these little packages. I could not even pick a favorite. I also just noticed that I some how missed your little angel card below. I'm so sorry. she is just adorable. Wonderful job at usual from you. wow these are looking great and beautiful sue. All your projects are wonderful! Love them all!